Thinking of towing a heavy load or trailer? If so you’ll know a regular hitch simply won’t cut it. Let’s face it: A heavier load requires an equally strong piece of equipment to transport it—in this case a fifth wheel hitch. But how much do you know about fifth wheel hitches? If you’re unsure how to pick one, we’ve put together research results with recommendations of the best fifth wheel hitches on the market. Simply pick the one that works for you. Ideally the best one will make for a safe towing experience. And safety is priority when it comes to your car. 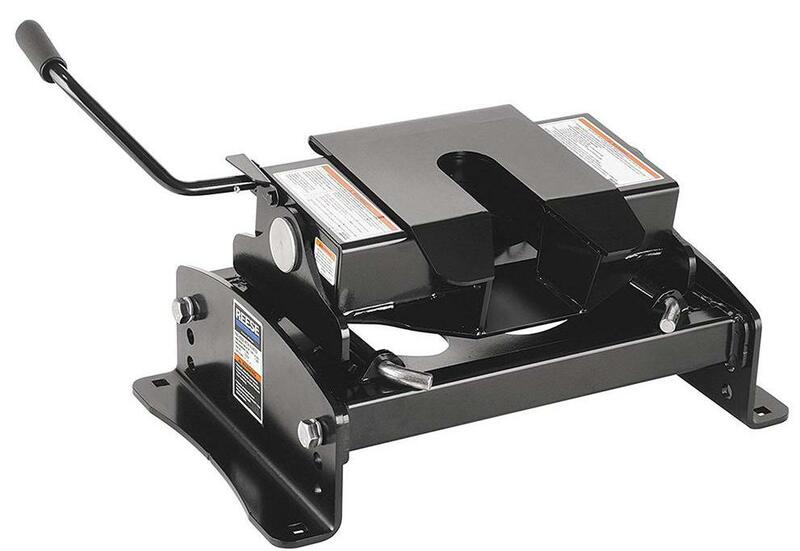 As mentioned before a fifth wheel hitch is designed to carry heavy loads. But know this: When properly installed the weight should press down between the cab of the truck and the rear axle. Ideally you need one that weighs just right in relation to what’s being towed. Put simply: It shouldn’t be too heavy or too light. Let’s discuss factors to consider. You must consider the Gross Trailer Weight (GTW) which is also known as the Gross Vehicle Weight Rating (GVWR). This is the combined weight of the trailer plus fluids and cargo. The fifth wheel trailer manufacturer usually provides this for you. In addition you must consider the Max king pin weight of the trailer. This is the weight pressing vertically down on the hitch when the trailer is fully loaded. This number is a percentage of the GTW and should be provided by the trailer’s manufacturer. Why are these numbers important? You don’t want to exceed your truck’s maximum allowable rear axle weight rating. Is it long or short? Your truck bed length will determine the type of mounting platform you’ll need for your fifth wheel hitch—that is legs or rollers. Basically, there are two types: A long bed which is 8ft long and a short bed which is 6.5ft long. If it’s a long bed you’ll need fifth wheel legs which are the standard option. A short bed truck needs a sliding hitch. This is designed to allow easy manoeuvring on camp ground and navigate the tight turns. You need to determine if you need to use your truck’s bed for other tasks when not towing. If you do then a custom “gooseneck” hitch set up is ideal. In this case it’ll be easy to remove when not in use. They have varying features and designs. Some can be attached to your truck’s rear bumper directly. Others attach to the standard industry rails—and those are the ones you need. Why? This way it’s easier to transport even the heaviest of loads with ease. First off know this: these products are not cheap. However the more features the hitch has, the more expensive it’ll be. Make sure you buy one with the features you actually need and will use. 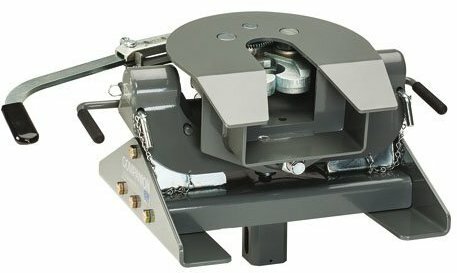 Let’s face it: Attaching a fifth wheel hitch is time consuming. However there are ways to make it a faster and easier process. Having a car with rails to attach the hitch is advised—otherwise you need to get them installed on your vehicle. Also make sure you pick the correct hole when attaching based on your vehicle’s weight. How well does it perform on rough roads? Will you experience a bumpy or quiet ride? The hitch you pick will make the difference between a comfortable tow or not. In addition, regardless of the road surface it must keep the hitch in place and the lock safe & secure. How well does it follow your directions without any problems? Ideally you must navigate all terrains easily with it attached. Also you want one that’s sturdy and doesn’t wobble so you have a smoother ride. 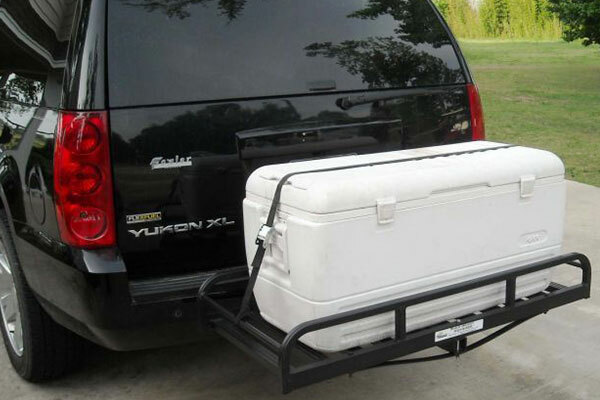 The hitch you pick must allow for easy adjustment so as to accommodate all types of vehicles. If it’s too high it might not be low enough for you to attach your trailer. In the event that it’s not adjustable make sure you measure the height your vehicle will need to avoid buying one that’s not suitable for your car. Why we like it: The best fifth wheel hitch should be hassle free to operate right? 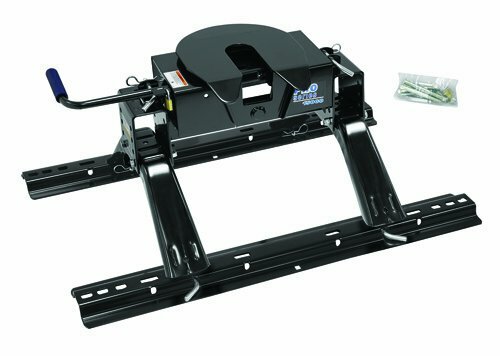 This hitch is user friendly and it’s designed to provide an economical 5th wheel option for the customer working on a budget. It has a gross trailer weight rating of 16 000lb. Also it can withstand a vertical load of up to 4 000lb. One of its best selling features is it has a hitch head which helps promote a smooth, stable and quiet ride. This is because the dual axis head allows up to 10° of lateral movement therefore pivoting the trailer. By operating with just a single handle the fifth wheel hitch automatically locks making the coupling process easier and more secure. However it would have been even better if the release handle had markings for locking and unlocking. In addition it has four height adjustment positions which allow it to adjust to various truck bed heights. You can expect a quiet ride thanks to the anti rattle skid plate and rubber stoppers. It’s available in 16 000 capacity only. You can expect it to last long thanks to the durable carbide powder for protection against the elements. It’s super easy to install. It comes with a set of standard fifth wheel legs that are ready to mount into your truck bed with a pair of fifth wheel rails and brackets. Also its versatile design means you can mount it to all industry standard rails. It’s compatible with a variety of mounting options including OEM puck system legs and rollers, industry standard base rails or the gooseneck adapter. For your safety considerations you’ll be happy to know it goes through an in house testing facility to ensure it meets all the quality checks. Also it’s backed by a five year limited warranty. However the shipping is questionable. Package may arrive with missing or damaged parts. Why we like it: Apart from being affordable it works well on most vehicles. Because of its low price & versatility it deserves to be among our top recommendations. It has a gross trailer weight of 15 000lb. It features a four way pivoting head with a side tilt of five degrees. This allows for easy hook up. Also it’s flexible enough to allow your trailer to navigate those bad roads without affecting your truck’s stability. It consists of a rounded slide bar jaw mechanism for easy towing. This hitch is designed for automatic self latching which is convenient. This removes the hassle of manually setting it up. 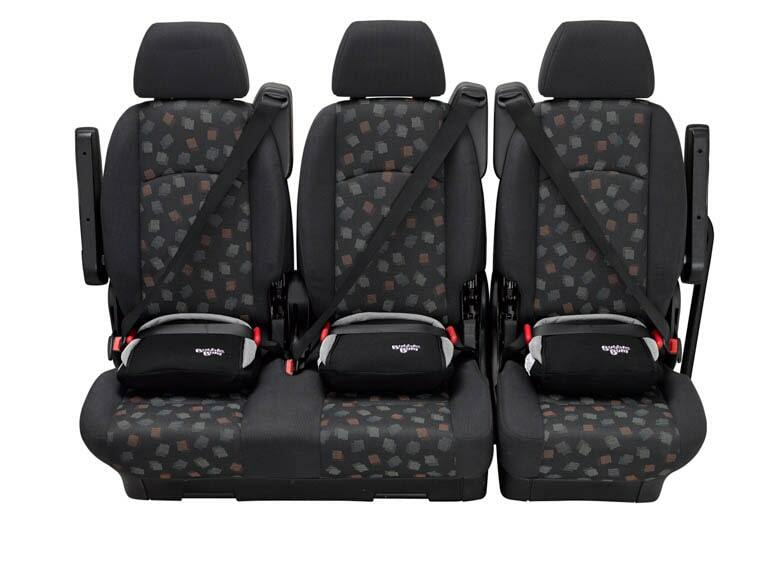 Since it can be used on most vehicle makes it comes with universal rails, which is convenient. However if you find it doesn’t fit your car you have the option of buying custom rails specifically designed for your car. It’s easy to assemble and comes with a mounting kit and four bolt rails to aid in installation. Also it comes with easy to read & understand instructions. However be prepared to drill through the truck frame in order to hook up the hitch. In some cases you might need to purchase additional installation equipment such as special drill bits and a Torque wrench. You can purchase stands to hold your truck up when you remove the wheels for easier assembling. Note this item may arrive separately at it can be shipped in more than one box. You’ll like that it’s backed by a three year limited warranty. Although the slide bar has a sturdy and firm build you might experience a bit of noise during your drive because of its design. Why we like it: You don’t have to rely on one type of towing. This hitch is designed to allow towing not only for fifth wheel trailers but gooseneck trailers, with the same pickup truck. As a result it’s the ultimate versatile tool in heavy duty towing. It features a gross trailer weight capacity of 25 000lb and a load capacity of 6 250lb. It allows pickup trucks equipped with fifth wheel rails to tow gooseneck trailers. 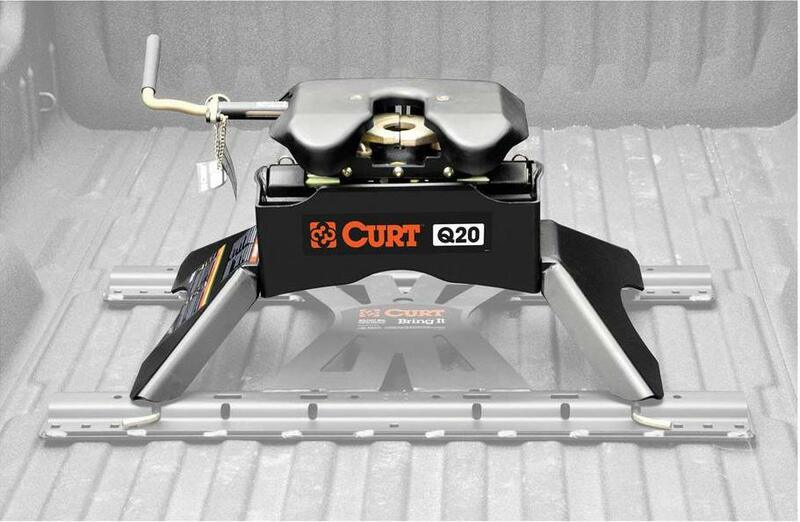 This hitch is designed to maximize full use of your vehicle by allowing your truck bed to haul other loads. In addition the gooseneck adapter plates mount onto all industry standard rails. It features a welded trailer ball meaning you can use it to pull all types of goose trailers including livestock trailers and industrial equipment haulers. It’s coated in black carbide powder to ensure it’s highly resistant to rust, scratching and UV damage. This is a strong indicator on its longevity. It features four pin and clip attachment points for a solid installation—or quick removal when necessary. However this hitch is an additional three inches higher than the standard gooseneck hitch. As a result it’ll stick up a bit more than normal. Though it comes with pins for installation, you can use any other pins from another brand and they’re just as effective. However note the springs on the safety chain connection are way too stout. As a result hooking up the chains is rather difficult. You might end up having to purchase extra safety brackets that fit into the rails. These can be found online. Also note the quality of the box and product protection is not the best. Because of this it might arrive damaged and with missing pins. 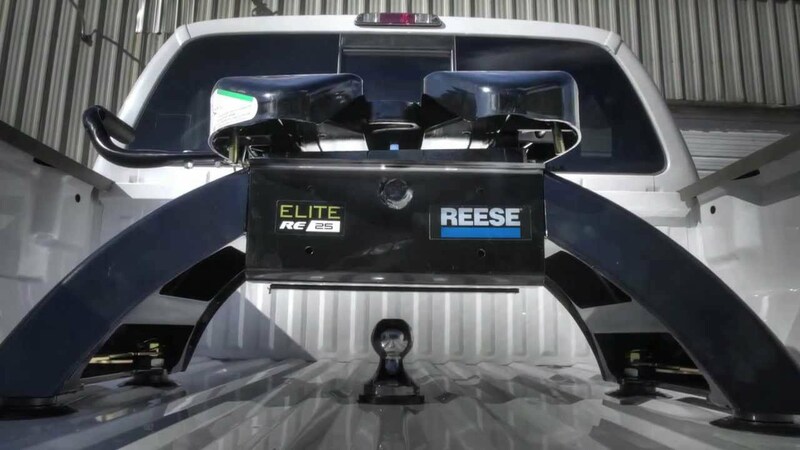 Why we like it: This hitch is one of the lightest and most affordable ways to connect your fifth wheel trailer to your vehicle. For this reason it’s considered the best fifth wheel hitch on the market—and why it’s among our top picks. Its GTWR is rated at 24 000lb with a tongue weight of 4500lb. This industry leader in fifth wheel hitches is designed for short bed trucks. It works well with all standard brands of gooseneck hitches. You can enjoy a smooth & quiet ride if you connect this hitch—with no bucking and chatter whatsoever. In addition it has three height adjustments so you’re likely to fit your vehicle correctly. In addition it features a patented remote launch/unlatch cable that connects directly to the pin box. Another useful feature is the connection safety chain which acts as a safety system to connect the 5th wheel to the towing vehicle. It also features a funnel coupler that attaches to the kingpin coupler assembly. Because it features a patented ball funnel it’s simple to hook up—so easy complete installation will take less than five minutes—and can be done by one person. The base weighs only 35lb. As a result it eliminates the common struggles associated with getting your fifth wheel hitch into the bed of your truck. In addition it can be removed and installed in less than a minute. 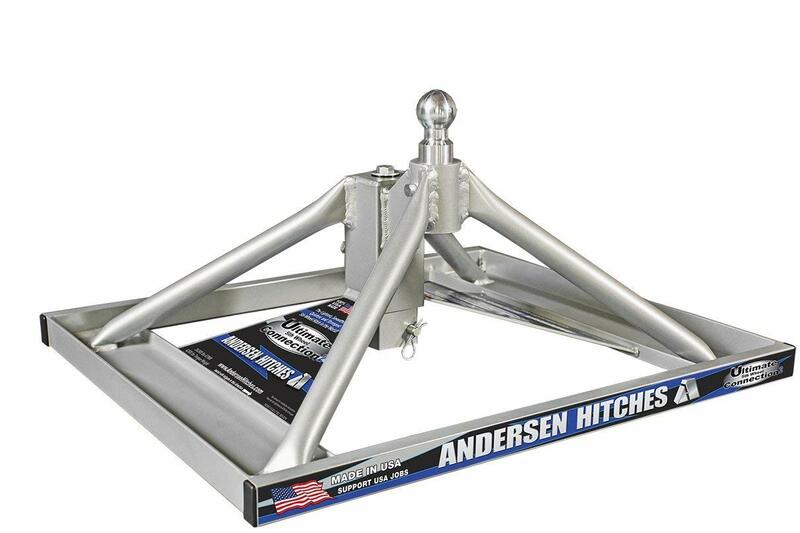 Anderson Hitches knows that different tow vehicles require different fifth wheel trailer hitches. As a result it’s available in different varieties to give your car the perfect fit. However, note that once installed the hitch itself completely covers the whole mount leaving no room for safety chain anchors to be mounted. If you do need to reinforce with a safety chain you can purchase the connection safety chain plate only. Why we like it: Is a noise free pull at the top of your towing list? Then you’ll like this particular model which is designed to tow your RV or fifth wheel as quietly as possible. The hitch is available in 20 000lb capacity and can accept a vertical load capacity of 5 000lb. Because it’s built with a spherical axial bearing you can expect quiet towing. This unique pivoting mechanism allows the hitch head and coupling point to tilt in the necessary direction. End result—smooth ride. In addition the head also has three grease fittings that provide constant lubrication for the mechanism. Also it features thick rubber stoppers that help cushion the head as it moves. It comes with dual jaws to fully wrap the kingpin. As a result apart from reducing chucking noises, towing security is enhanced. The hitch is equipped with a lockable short throw handle that automatically engages with the kingpin coupling even further. These hitches are compatible with a variety of mounting options including OEM puck system legs and rollers, industry standard base rails and the Curt X5 gooseneck adapter. The wide self aligning head helps eliminates errors when you’re backing up to the trailer. This significantly reduces the coupling process on installation. Because of its load capacity it’s capable of towing most large recreational vehicles just as campers. In addition you can expect it lasts long because it’s coated with durable carbide powder. This ensures it’s not affected by the sun or corrosion. You’ll appreciate that it has failsafe design features and indicators that help you know that your trailer is properly hitched. Even though the parts are a bit heavy they’re easy to handle during installation. 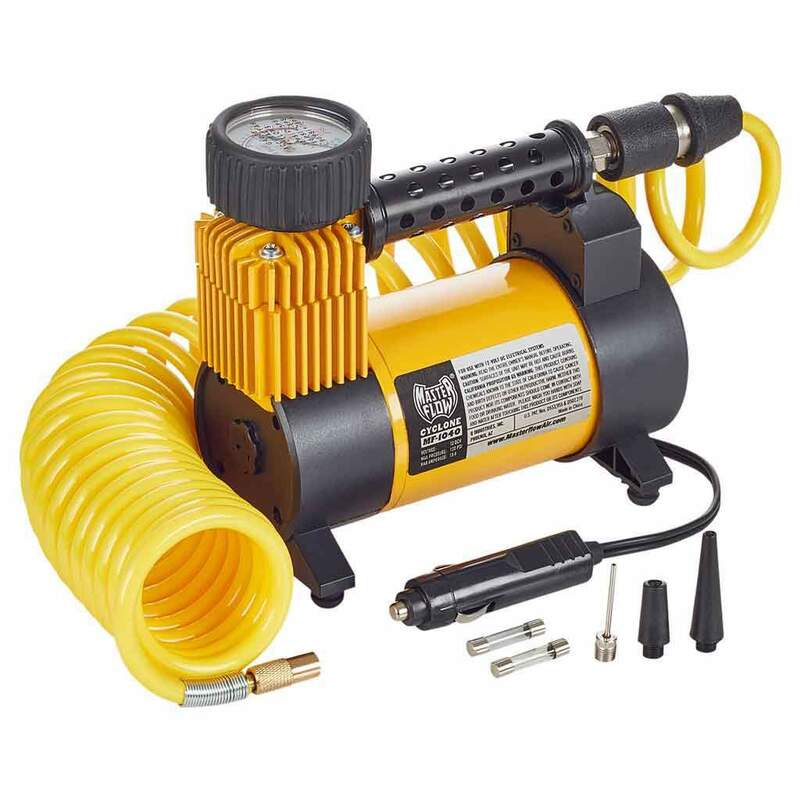 Why we like it: Here we have a product which is servo hydraulic tested for durability. End result: a strong hitch that’ll last long. This hitch has a load capacity of 16 000lb and a 4 000lb pin weight capacity. One of its best features is the patented dual jaw locking mechanism. It’s designed to surround the fifth wheel king pin to ensure effective and proper towing. In addition it has a five degree side to side and front to back tilt pivot designed to better accommodate hook ups on uneven ground—plus easy towing. It can be adjusted from 15 to 18cm in height for level towing. Also it features wide stance one piece legs for improved stability. 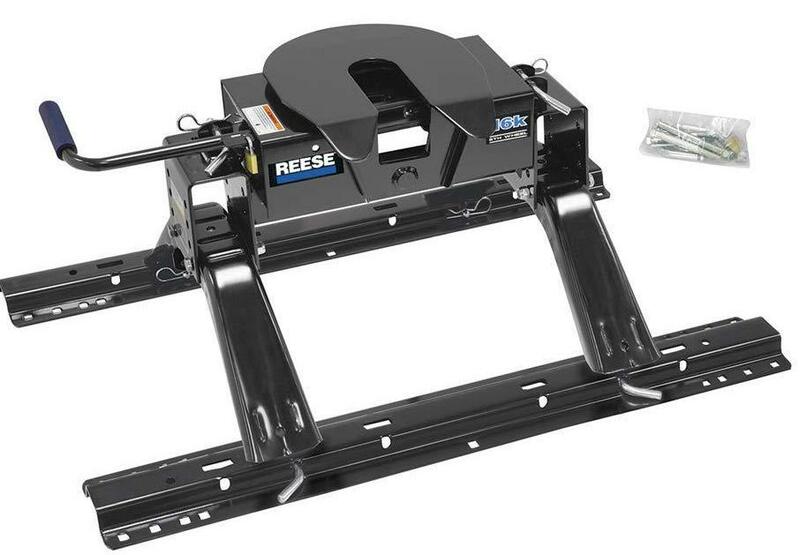 On unboxing you’ll find the fifth wheel hitch—though the rail kit is sold separately. Also it doesn’t come with brackets and installation hardware so you have to purchase that separately. Installation and detaching of this product is a breeze. This is thanks to the rail design which allows the fifth wheel to be removed from the truck by simply taking off the four pins. However the two base rails remain leaving the truck available for maximum hauling. Eager to assemble your new investment right away? You’ll have to be patient as this item isn’t shipped in one box. It comes with a five year limited warranty in case it malfunctions or needs repairs. Though it comes with jaws it doesn’t come with a slide bar. However this doesn’t take away from its effectiveness. Also it would have been ideal if the jaws were painted orange and white to see if the jaws are locked properly when you’re working in low light conditions. Why we like it: At the very least the hitch is supposed to perform as expected right? Expect nothing less from this product in terms of performance, stability and flexibility. And to top it off you’ll get it at a very affordable price. The hitch has a load capacity of 15 000lb and a pin weight capacity of 3 750lb. Say goodbye to manually attaching your trailer to the hitch if you pick this product. One of its key features is a rounded slide bar mechanism which is designed for automatic latching with a cushion grip handle. Navigating uneven ground is a breeze with this item which has a four way pivoting head for easier hook up on tricky surfaces. Installing this item is pretty simple thanks to its height adjustment feature. It vertically adjusts from 13” to 17”. As a result you’re likely to find the perfect fit for your vehicle. Also you can attach different trailers to your car. It includes the head and head support for easy installation. In addition It comes with a 10 bolt rail kit to aid installation. However extra caution & precision need to be exercised on installation. If the trailer is at any sort of odd angle—even slightly—it’ll bind and not release. This hitch is not universal for all pickup trucks. You might want to check with the seller first before purchase to avoid buying an incorrect item. Packaging and shipping of this product may be a little disappointing. In some instances the product will arrive scratched or damaged. In extreme cases it might be missing parts. If you’re pulling with a short box be sure to get an extender on the trailer. If you don’t it might just break the truck’s back window during the tow. Why we like it: Here we have a product designed to fit the new GM OEM hitch platform. If you’re looking for a rattle free towing adventure this product is definitely worth considering. It has a gross trailer weight of 20 000lb and vehicle trailer weight of 5000lb. First off: The build quality is second to none where hitches are concerned. Because it’s fabricated from heavy gauge steel welded together it’s far from cheap looking. One of its most notable features is the cam action latching mechanism which allows for effortless hook up and release. In addition, this latching handle makes it easy to release even when parked on unlevel sites. Also it comes with one thick cast locking jaw which is machined with tight tolerances. This ensures a perfect connection to the camper plus a smooth towing experience. This wrap around mechanism fits the kingpin perfectly thereby eliminating sloppy starts and stops. Apart from front to back movement, the fully articulating head also allows for side to side pivoting. As a result it means more flexibility and easier navigation on those tight turns and uneven roads. In addition two of the front to back adjustments allow for three coupler positions. We like that the polyurethane bushings provide a quiet towing experience which is always welcome, right? Because of its two piece design it allows for easy installation and removal when not in use. It can take up to 20 minutes which isn’t long for a hitch mounting in our experience. Unlike other hitches this particular model doesn’t come with mounting rails—but it’s not a bad thing. Why? This means it’s removable plus you can use your truck for more than just towing. Versatile, right? Note this hitch fits four pucks in a truck bed. Also the release handles make it easy to convert to a level bed which will come in handy. Why we like it: This is the product to pick if you’re looking for a hitch that’s not only versatile but looks great and functions well. Its two part construction makes it easy to assemble and remove which is convenient. It has a gross trailer weight of 18 000lb and a vehicle trailer weight of 4500lb. This hitch is designed to easily convert to a level bed. In addition it features a fully articulating head which allows front to back and side to side pivoting. It has three vertical adjustments from 14.75” to 16.75” of front to back adjusting with three coupler positions. In addition it has a cam action latching handle which allows for easy release—even when parked on unlevel sites. The legs feature a wide stance design which is engineered to ultimately guarantee improved strength and stability. Also it features one inch thick wrap around jaws to fit the kingpin perfectly for smoother starts and stops. In addition you can expect a quiet towing experience with this item thanks to the polyurethane bushings. All the mounting hardware is included with this kit. However you need a gooseneck receiver installed first before you can mount the B&W hitch. This product utilizes the B&W turnover ball under bed mounting system which makes it easy to install. Want to use your truck for other things aside from towing? You can if you pick this hitch. Why? It doesn’t come with mounting rails so no permanent towing fixtures will be on your vehicle. Also whether you want to pull a fifth wheel or gooseneck you’re able to—with the same hitch. However the design of this hitch makes it heavier than traditional fifth wheel hitches. 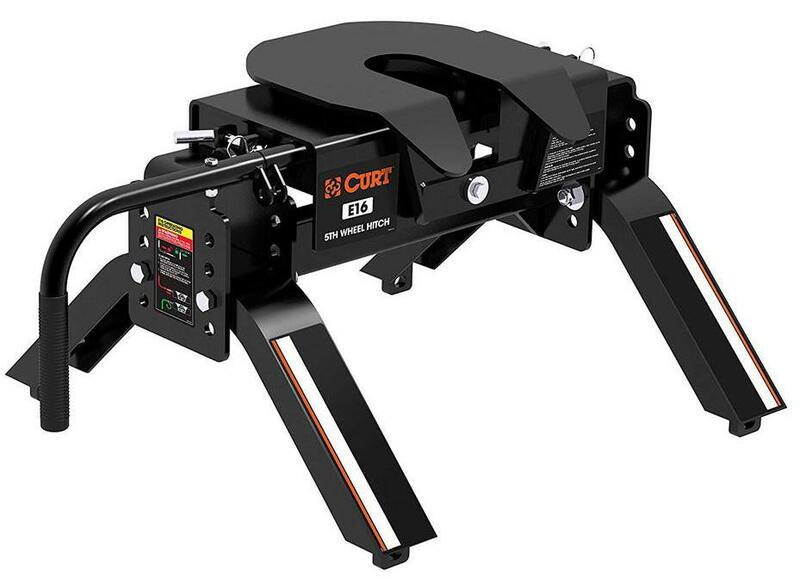 Why we like it: Looking for a low profile hitch to pull those extra heavy loads? Then you’ll like this item which provides a large towing capacity. It can handle a load capacity of 30 000lb and a pin weight capacity of 7 500lb. The front to rear tilt capability enables easy hook up when towing on those uneven roads. Also another useful feature is the low profile design which can be vertically adjusted three inches to allow for level pulling. 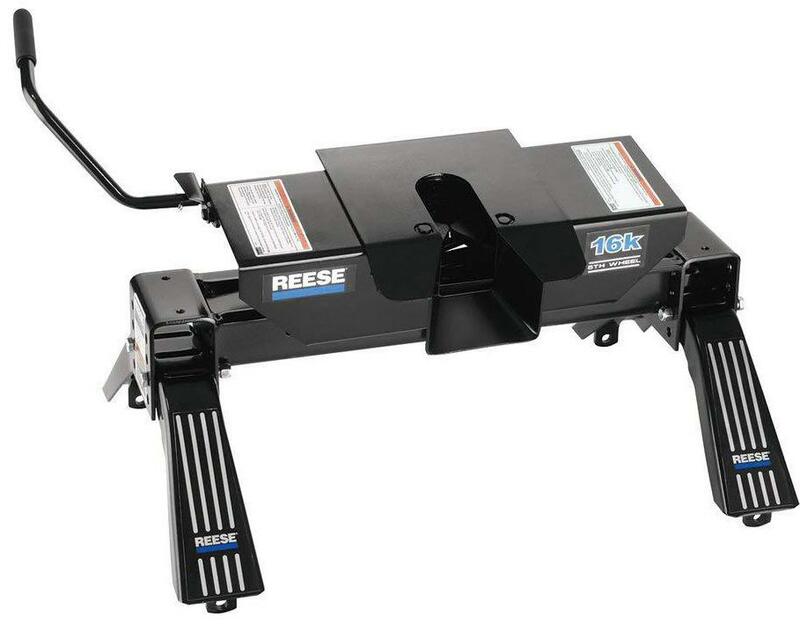 It also features the Reese exclusive new side to side rocker design for a smooth tow. Apart from reducing vehicle frame stress, this side tilt design allows for a smoother and more comfortable ride. In addition, hook up and unhooking is made easier. If you’re looking for a product capable of handling some serious towing then this is your go to. Why? It’s especially designed for use on medium duty conversion trucks. The hitch is pretty easy to assemble. Because of the size and capability of this product you need to get clearance before you use it in conjunction with the Reese folding gooseneck hitches. The manufacturer has engineered and designed the clearances for you so you don’t have to worry about that. You’ll like that the actuating handle is more easily accessible than most fifth wheels. Because of this the hook up is made that much quicker—and more convenient. Also note like other hitches this product is likely not to arrive in one box. Parts will arrive separately so you’ll have to be patient before you can install it. For the load it carries its construction is not as solid. The base might be built incorrectly. Also the hand lever is made of substandard material and the pin doesn’t look like it’ll last long. Hitch coupler: This is the flat part of the hitch that’s on the bed of your pickup truck and interfaces with the fifth wheel trailer. The coupler is either bolted or welded to the truck’s frame. King pin: This part of the hitch is permanently attached to the fifth wheel trailer. It connects to the trailer and allows the RV to pivot when being towed. Hitch locking lever: It locks down on the bar that’s used to release the receiver from the fifth wheel pin box. However you need a lock to prevent the fifth wheel from detaching. 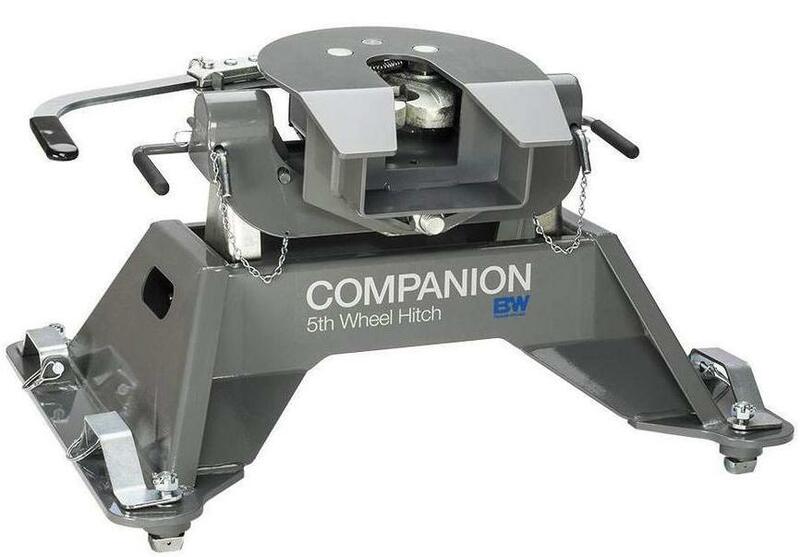 Slider fifth wheel hitch: This part slides forward and backward in the bed of the truck to provide an optimal ride. It’s particularly useful when going straight or turning at an angle. As a result it prevents the trailer from hitting the cab during sharp turns. Extended pin box: This device is useful when towing with a short bed truck. It also prevents the trailer from hitting the cab during those sharp turns. Mounting rails: These are securely fastened to the truck bed and are necessary to attach a fifth wheel hitch to your truck bed. The hitch coupler attaches to the mounting rails. The mounting rails are located under the bed of the truck. Pucks: These are attachments in the bed of your truck that indicate that it has an under bed hitch prep package. Before making this purchase you need to establish what kind of truck you’ll use for towing. Can it pull your fifth wheel? No need to guess. Pull out your vehicle user manual, visit the manufacturers website and do a little research. Below are the main questions you need to ask yourself to determine which one to buy. Know this: A properly installed fifth wheel hitch should sit in front of the truck’s rear axle. This is easy to achieve with a long bed truck as opposed to a short bed. Does it Have A Plastic Liner? If it does you’ll have to cut a hole to accommodate a fifth wheel hitch. Are There Pucks in the Truck Bed? If your truck has pucks you need to get a hitch designed to attach to them. Does the Truck Bed have Metal Rails? You need to get a fifth wheel hitch designed to fit those rails. What’s the Make of Your Truck? These hitches are either universal or specific to your vehicle make. You can opt for one designed to fit your car’s make, year and model or pick a generic one. Below we’ll outline the most common types. As mentioned earlier these are used with long bed trucks. They’re further classified into the following groups. This is a lightweight and inexpensive option. This type is fixed in place and has no cushioning whatsoever. As a result you might expect to feel bumps along the road. To avoid this you can purchase padded pin boxes. And in this case you can move them from truck to truck. This type is an all in one system that cushions against bumps along the road. Apart from being high quality it has a shock absorbing system. However one of the draw backs is you need to be prepared to part with a few more dollars since it’s expensive. Also it’s heavy and not versatile. These are best suited for short bed trucks and are the newer versions. We’ll list a few types to give you some insight. Unlike the manual type this hitch engages automatically. This means no stopping, pulling or getting in and out of the truck. Sounds convenient, right? Though it’s easier to assemble the trade off is it’s a bit more expensive—as it should be considering the convenience. Also it’s much heavier than its manual counterpart. At the end of the day it’s up to you. Do you want hassle free or cheap? You decide. If your truck has a towing system for a gooseneck trailer, you can get an adapter that’ll allow you to pull your fifth wheel. Some adapters attach to your gooseneck ball or use the ball to hose off your gooseneck hitch. This allows you to hook up your fifth wheel without modifying it. How Do Fifth Wheel Hitches Work? It’s located in the bed of the pickup truck instead of the bumper or rear frame. The head is the face plate with a “jaw” opening that funnels the trailer’s king pin into where it’s locked in place. This completes the trailer tow vehicle connection. How Does it Attach to a Trailer? It attaches with a “kingpin”. This is a downward facing pin that’s connected to the trailer and rests on top of the fifth wheel plate. This pin is locked into position so that it’s secure but free to pivot as the vehicle and trailer negotiate turns. Since the flat plates of the trailer and hitch are constantly sliding against each other, it’s important to never run out of lubrication if you want effective performance. It’s clear: A fifth wheel is just as important as the RV trailer itself. The ideal one must tick all the right boxes in terms of performance, stability and price. Now that you have all the information, are you ready to get more out of your vehicle? If you have any comments or questions, why not leave your thoughts below?